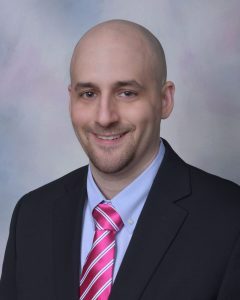 Simon Filip, CPA, MST, a resident of Saddle Brook, New Jersey, has been named partner at KRS CPAs, Paramus, NJ. A graduate of Seton Hall University, Filip joined the firm in 2014 as a senior tax manager, bringing his expertise in the areas of real estate and partnership taxation, income tax planning, business formation, and estate and gift tax planning. He will lead the KRS commercial real estate practice and will play a significant role in the firm’s private client advisory group. “Simon’s commitment to our firm, expertise in serving clients, and hard work have helped him achieve his promotion to partner. He will be instrumental in growing our commercial real estate practice,” says firm partner and co-founder Maria T. Rollins, CPA, MST. Filip is an affiliate of the American Institute of Certified Public Accountants and the New Jersey Society of Certified Public Accountants.